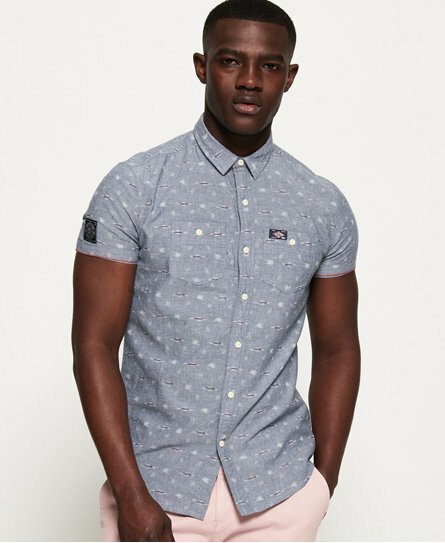 Superdry men's Indigo riveter shirt. This shirt features short sleeves, main button fastening and two button fastened chest pockets. Finished with a contrast colour stitch on one button hole, Superdry logo tab on the side seam and a Superdry logo badge on the sleeve and on one chest pocket. Wear with a pair of shorts and layered over a plain t-shirt for a casual look this season.